It was dubbed one of the most-bizarre rounds in Supercars history, with the winner of the finale taking almost a week to determine. 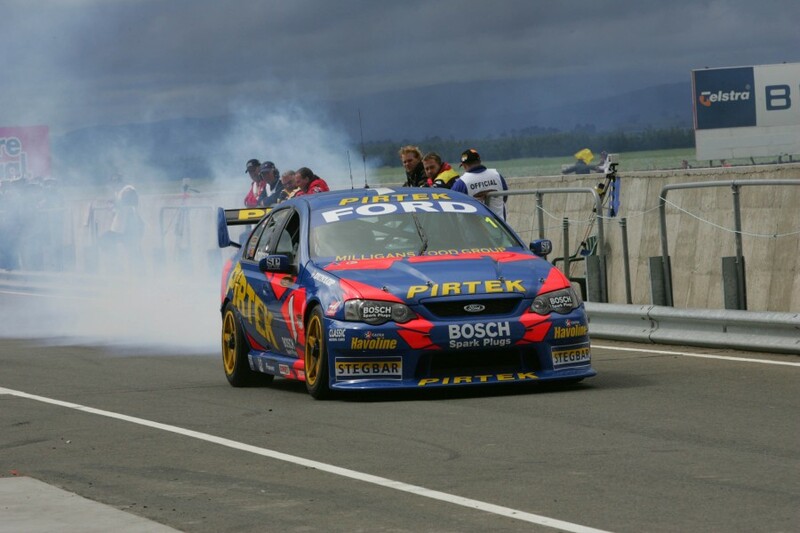 Supercars’ return to Symmons Plains in 2004 after a five-year absence provided drama, confusion and an unlikely win for David Besnard and the short-lived WPS Racing. The weekend was expected to be all about Marcos Ambrose, who headed to his first Supercars event on home soil on the brink of sealing a second title. The Stone Brothers Ford driver had pulled ahead of his Holden rivals at the previous round on the Gold Coast, which ended in its own cloud of controversy. Ambrose was fined $10,000 for brake-testing Rick Kelly in a Surfers Paradise finale that triggered a war of words between the Ford ace and Kelly’s team-mate, Greg Murphy. Putting the drama behind him, Ambrose followed Kelly home in Race 1 in Tassie and took out Race 2, only for a rare engine failure in Race 3 to put the celebrations on hold. At the end of the Symmons weekend, the hot topic was not how the title battle would play out at the final round, but who in fact had won the last Tassie heat. A Safety Car had been called towards the end of the compulsory pitstop cycle in Race 3, kicking off a lengthy chain reaction. 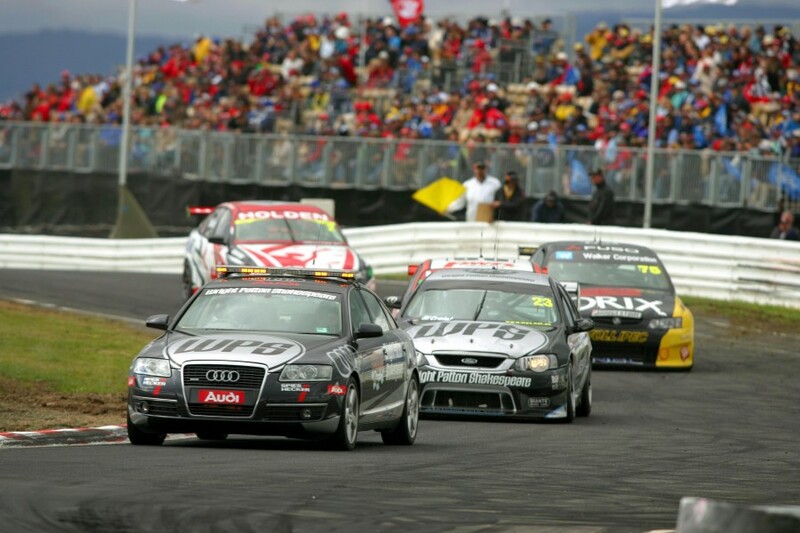 While the Safety Car picked up Murphy – who was the first of the stoppers – Besnard, Jason Bright, Anthony Tratt and Mark Skaife were able to pit and rejoin still in the top four positions. The order was correctly reshuffled behind the Safety Car to ensure that the leader, Besnard, was at the head of the queue before the race resumed. But during a second Safety Car period a short time later, officials over-rode the timing in the belief that Murphy was the true leader, and waved Besnard, Bright and Skaife through. That left Murphy to go on and take the chequered flag, while Besnard was credited with 18th, Bright 20th and Skaife 21st, despite each completing 43 laps in a 42-lap race! Several days later, a stewards enquiry concluded that the original timing had indeed been correct and Besnard was declared the true Race 3 winner. Having entered the weekend 30th in the points, qualified 25th and finished eighth and 29th in the earlier races, Besnard's win was a major upset. “It was just timing,” Besnard explained post-race to Motorsport News magazine of the bizarre circumstances that delivered his second career Supercars win. “We decided to take a later pitstop and everything just played right into our hands, strangely enough. The result marked the only Supercars win for WPS Racing, which operated from 2004-07 under the auspices of Gold Coast businessman Craig Gore. 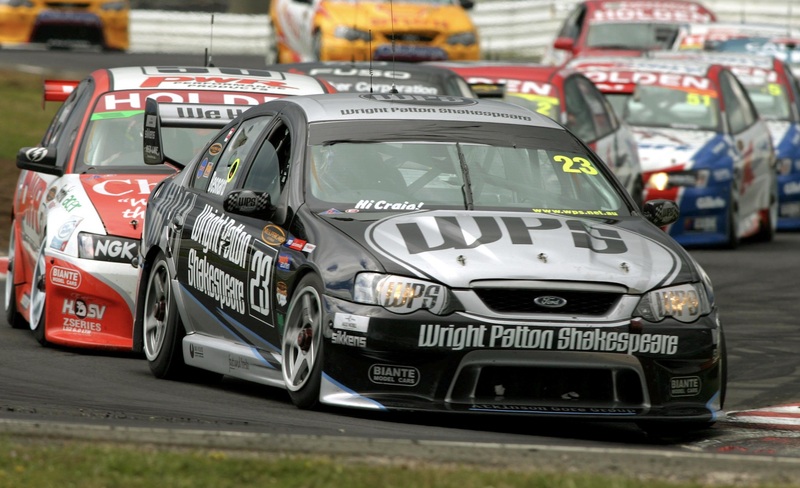 Frequently controversial, the WPS Falcons had started the Sunday morning warm-up at Symmons Plains with ‘No money from Ford’ banners across their windscreens. The cars were immediately black-flagged to tape over the signage, which had been deemed prejudicial to the sport. Besnard’s victory in Tasmania came just weeks after swapping his Supercar for a WPS-backed Champ Car on the Gold Coast, finishing a fine seventh. As if to prove Symmons wasn't a complete fluke, Besnard went on to finish fourth in the opening race at the Eastern Creek Supercars finale, where Ambrose did seal his second title.